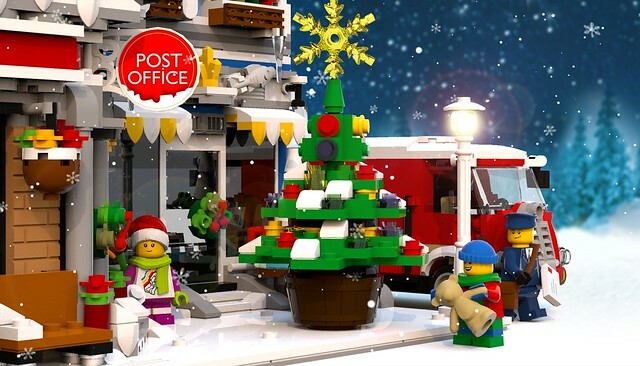 This is my latest creation, a special Christmas edition of my MOC modular building, "Brick Square Post Office". Hope you like it. 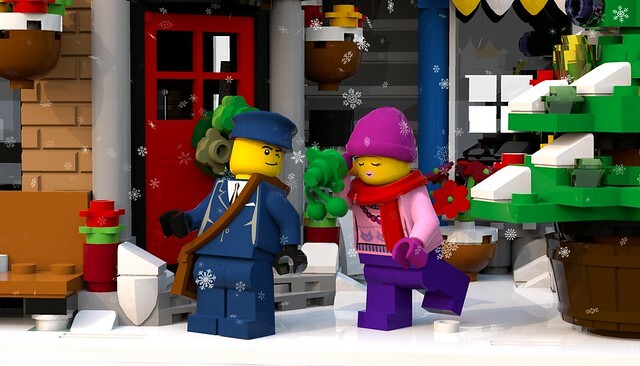 ... and all the kids at Brick Square were getting excited, building snowmen and putting up the Christmas tree. The children had been busy writing their lists for Santa. They handed their letters to the postman, who was loading up his van ready for the last mail run of the day. He set off in to the snowy night with his precious cargo, but by now the snow was falling thickly. Then there was trouble! The post van hit a snow drift much bigger than usual. 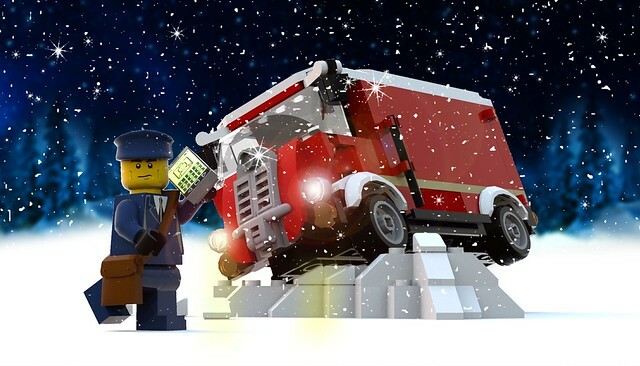 Stranded in the snow, the quick thinking Postman grabbed his phone and telephoned ahead. Meanwhile back at Brick Square everything was silent and the children were feeling anxious. It was getting late and the Postman should have returned by now. It was Santa. 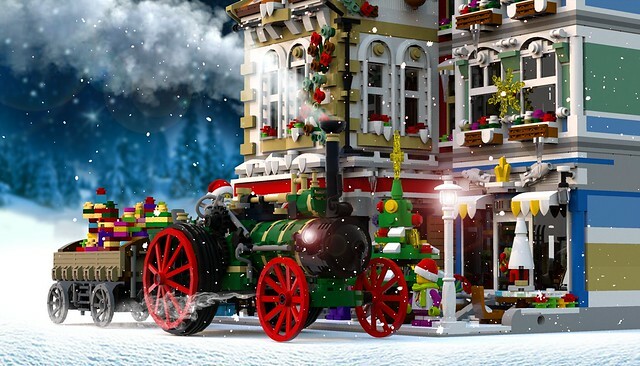 He had ditched his reindeer and sleigh and instead opted for good old fashioned steam power, courtesy of The Old Workhorse Traction Engine. 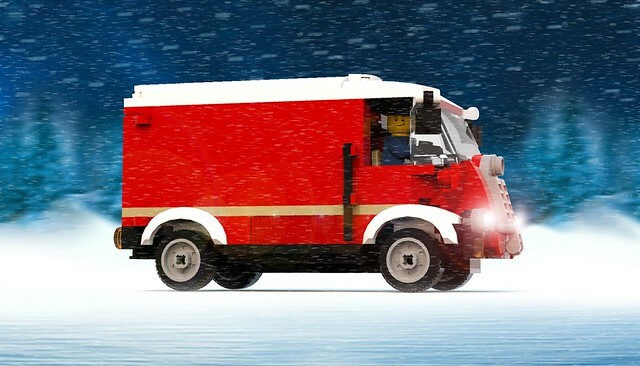 Don’t forget The Old Workhorse is on LEGO Ideas. 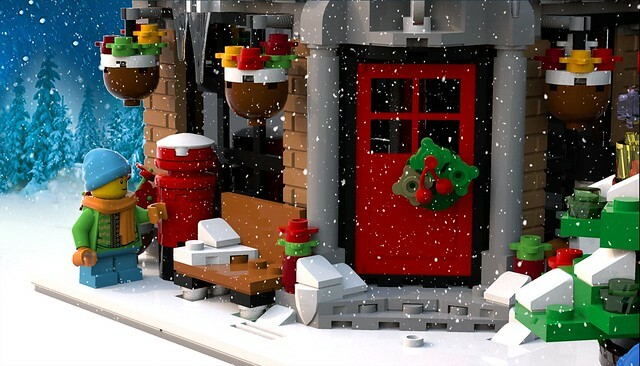 https://lego.build/2vRfVGL Please spare a couple of minutes to give it your support if you’d like to see it made as a real LEGO set. 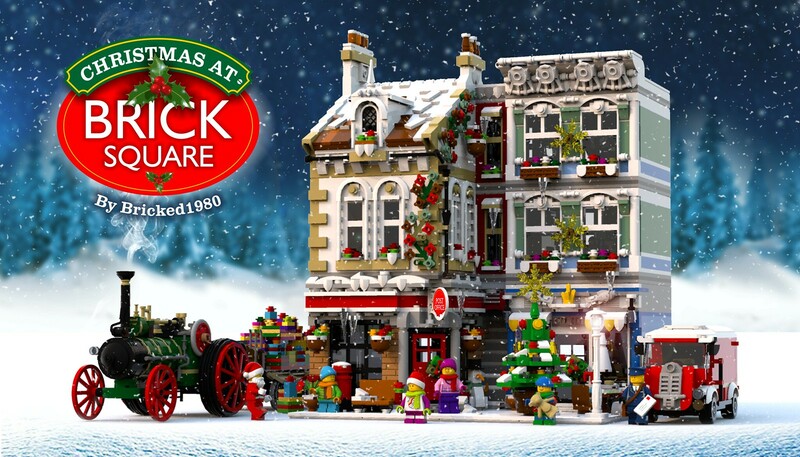 The Old Workhorse arrived at Brick Square carrying Santa himself and all the presents for the children. And just in case you wondered what happened to the Postman. 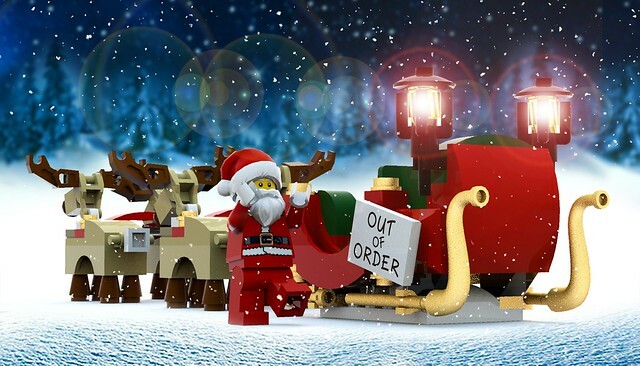 Don’t worry, he made it back home in time for Christmas Day! I hope that you've enjoyed reading this and looking at the pictures. 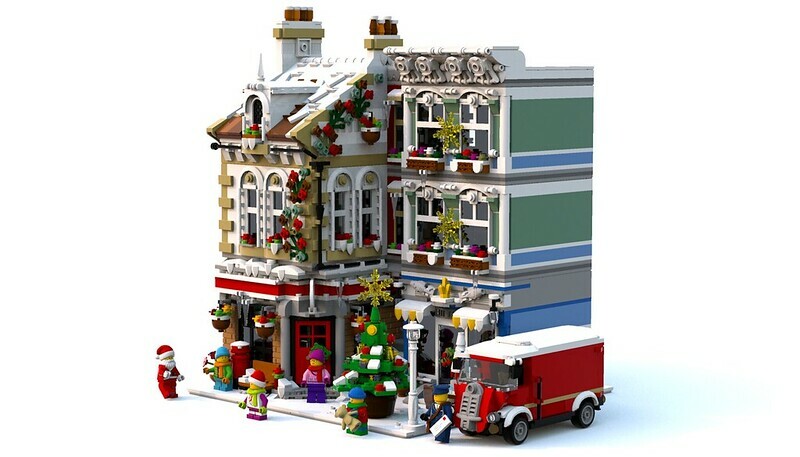 I'd like to take this opportunity to wish everyone on Eurobricks a very happy Christmas, and all the best for 2019. 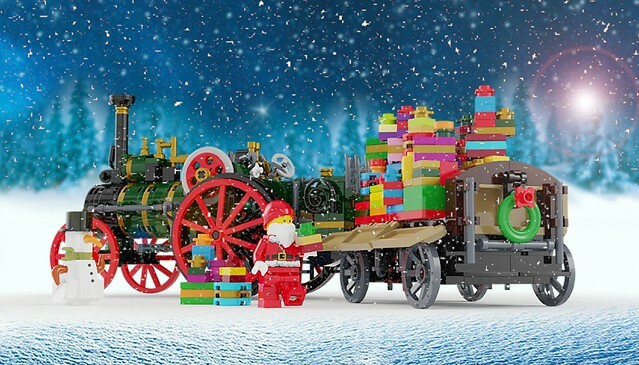 Great story, and the two MOCs work really well together...the old-fashioned mail van and traction engine look like they could be from the same English village. 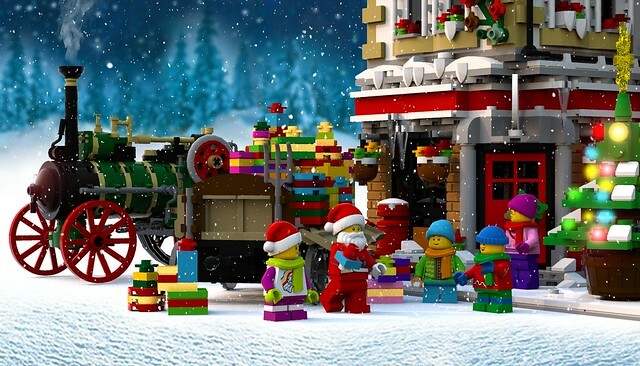 Ho ho ho, what a nice sets. I mean story. I mean creations. Anyway, thanks for the inspiration! 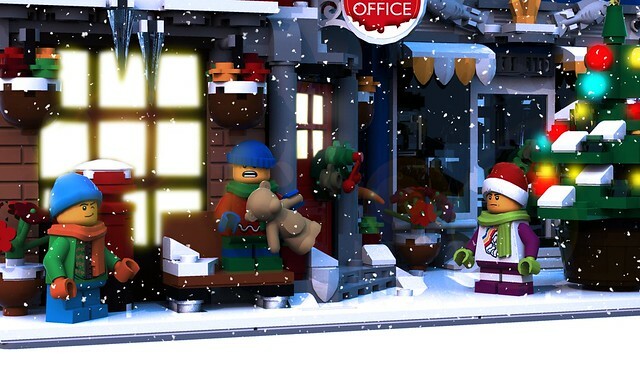 I really like all the details you've put in those sets! Thanks very much for the comments everyone. 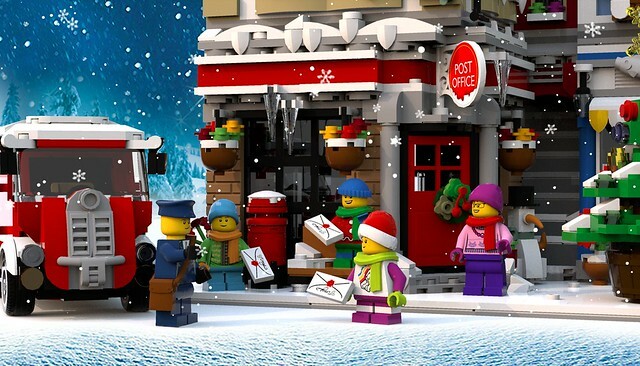 Glad you like this festive re-make of Brick Square Post Office. Merry Christmas to you all! Haha, I definitely didn't expect to see something like this! 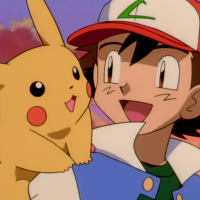 Really enjoyed the childish story which brought back some good memories and of course both of the builds and the incredible editing! Super fun version of both your builds and storyline. 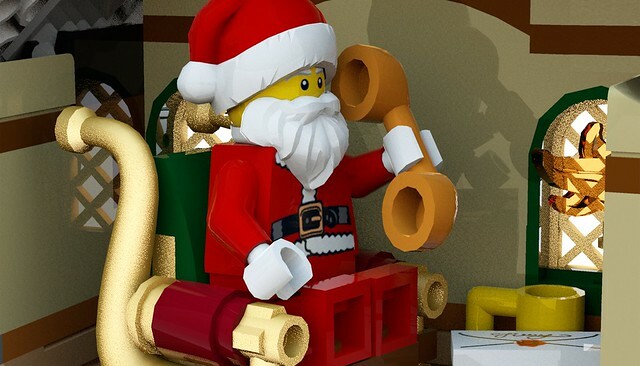 Merry chirstmas! Thanks a lot guys. Because this is not strictly a new moc, the storyline was just my way of presenting the model in a different way to usual. Glad you like it and MERRY CHRISTMAS. By the way I have now begun work on a brand new modular building. It is early stages though so will be a few weeks till it's finished. Thank you very much. Pleased you like it. 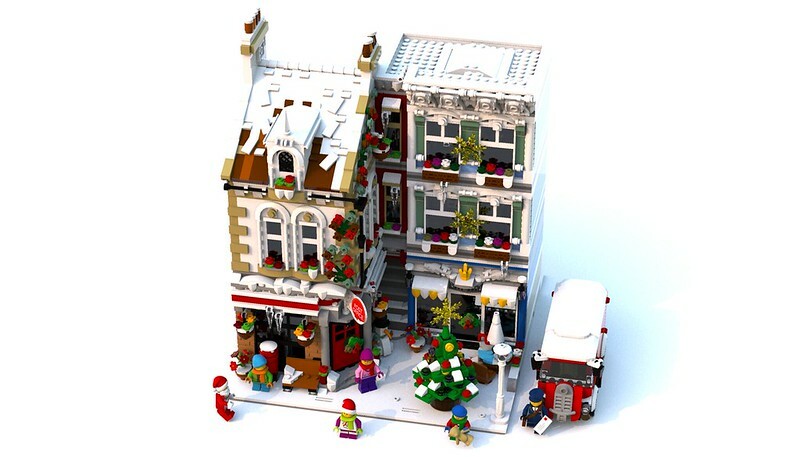 Like already said ... great story and great builds. Like the creations and also the story. Sadly the posttruck (like the design, bit '50, ';60's style?) had an accident but fortunely the 'workhorse' came to rescue. Yes the whole model is set in the 1950's. 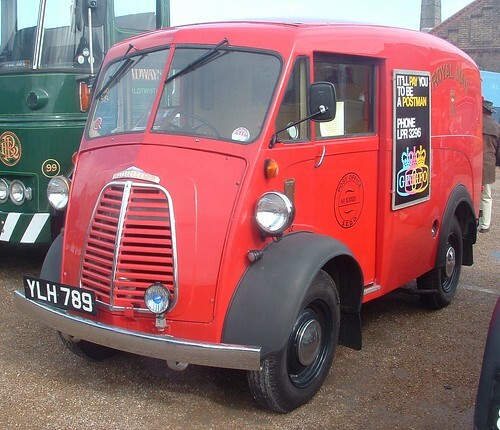 The post truck is loosely based on a British Morris J type, like the example below. Good luck with lego ideas !! 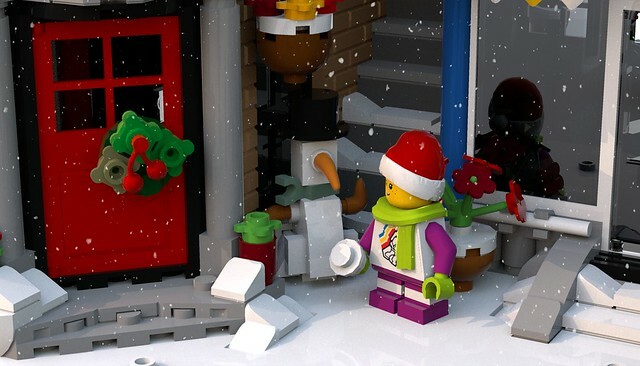 Hope everyone on Eurobricks has had a great Christmas Day. Merry Christmas everyone. Thank you very much for yours creations and Happy New Year. Where can I buy your LDD. I would like have post office in our collection. I think that truck is terrific--it's cute as a button. I wish I could buy it! 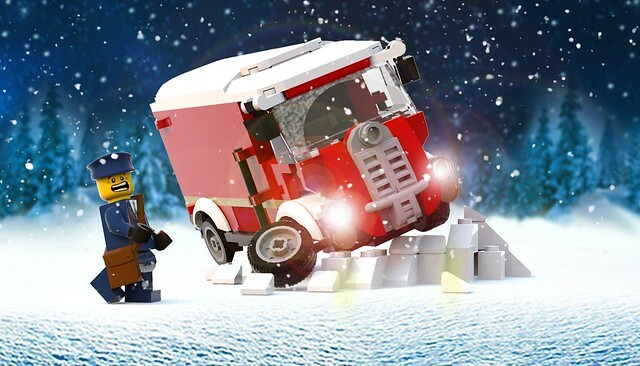 If Lego made it I'd buy several.